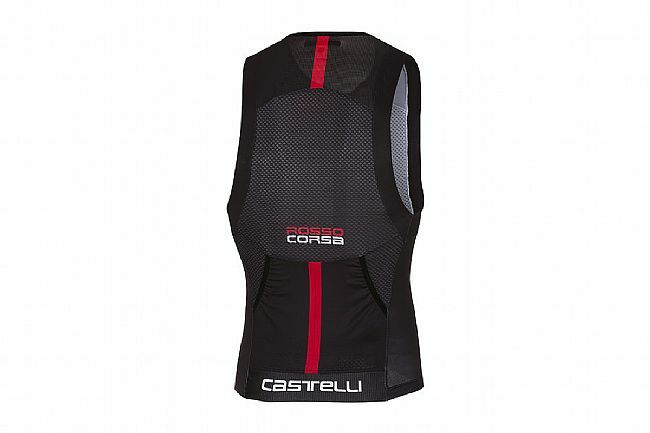 Castelli’s Men's Free Tri Top featuring SpeedFreak race fabric underwent wind-tunnel testing by Castelli product engineers and exhibited undeniable on-the-bike speed. Thanks to water-repellent and compressive elements, this top promotes dryness and efficiency. Two rear high-capacity pockets provide ample room for storage and SnapLock fasteners on the lower back attach to shorts to keep everything in place. Also on the back, there’s a Velocity mesh panel with UPF 16 to facilitate cooling and protection from the sun. 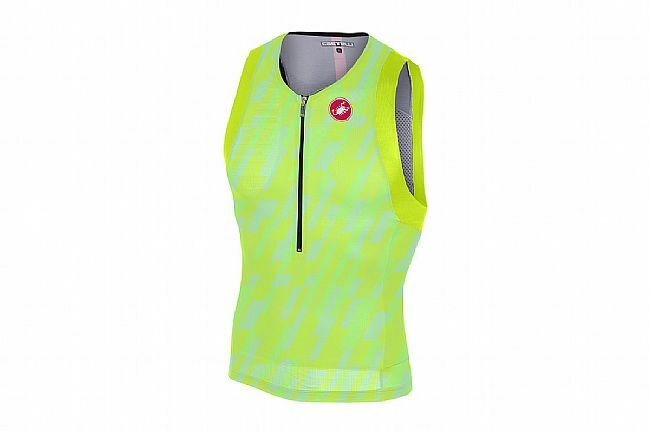 Sleeveless design with soft-finish armholes to reduce chafing. 2 FreeAero hydro- and aero-optimized pockets.